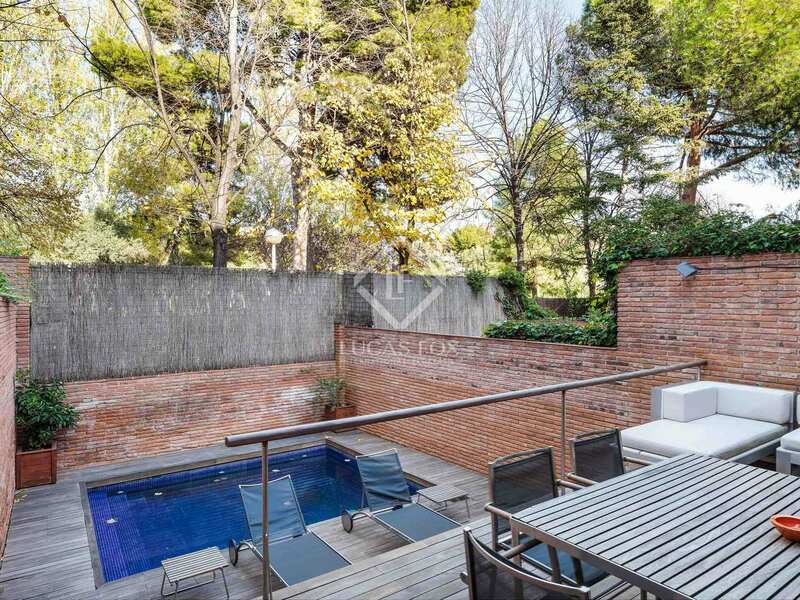 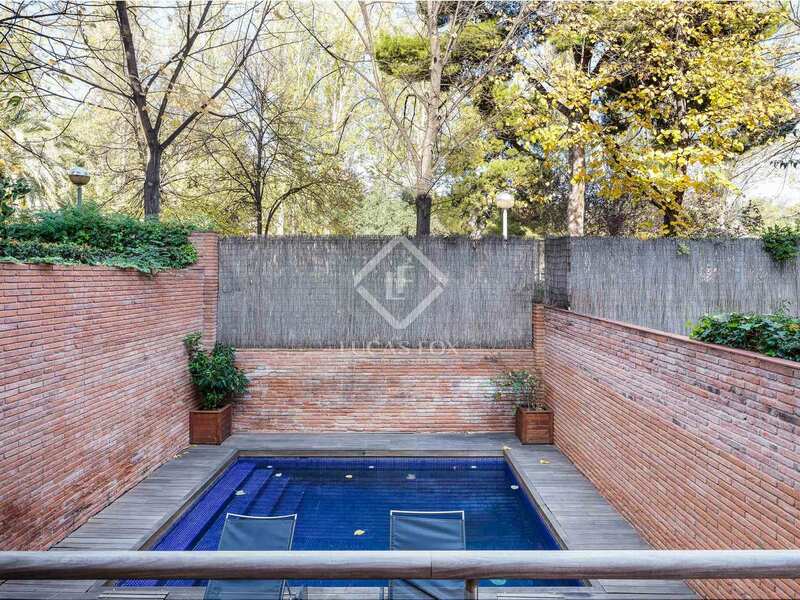 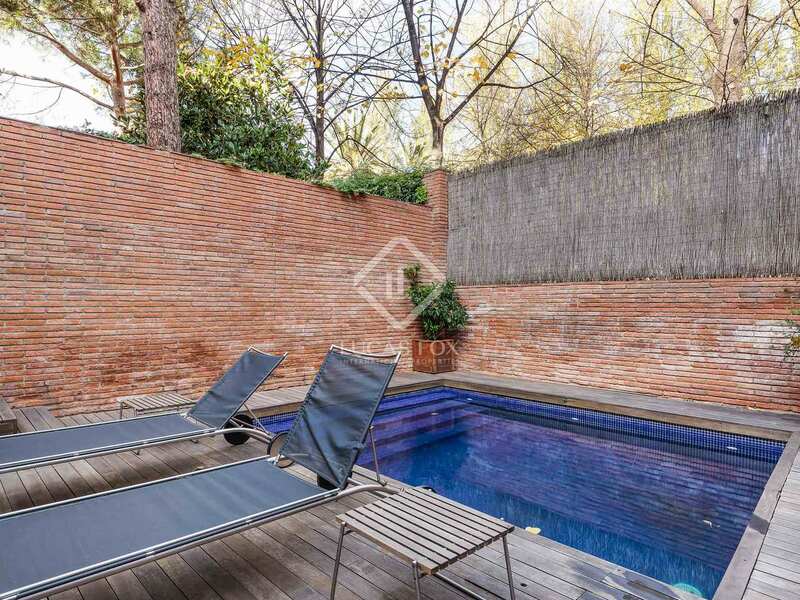 Located in Pedralbes, close to Los Tilos, this English style brick house with a built size of 442 m², built in 1988, enjoys pleasant views of the Royal palace and the William Shakespeare Gardens. 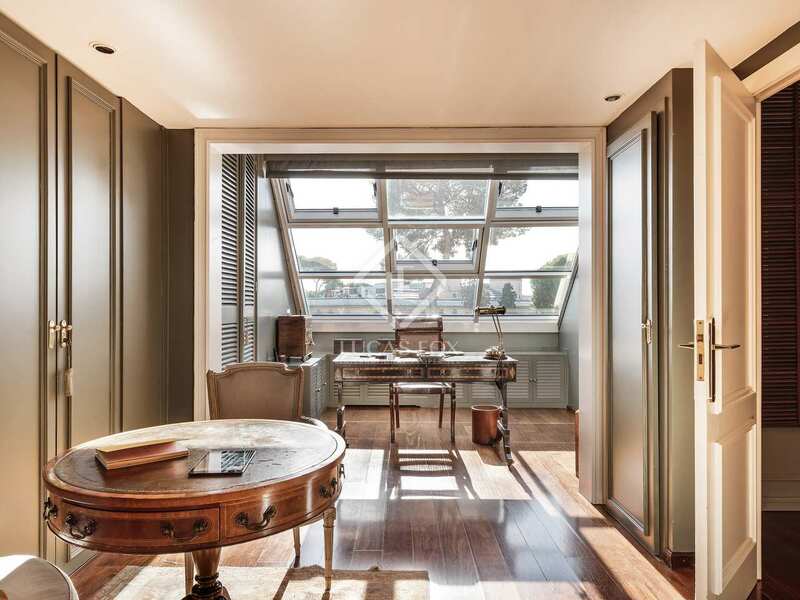 It receives abundant natural light in all of its spacious rooms and has a terrace and a patio with a private salt water pool. 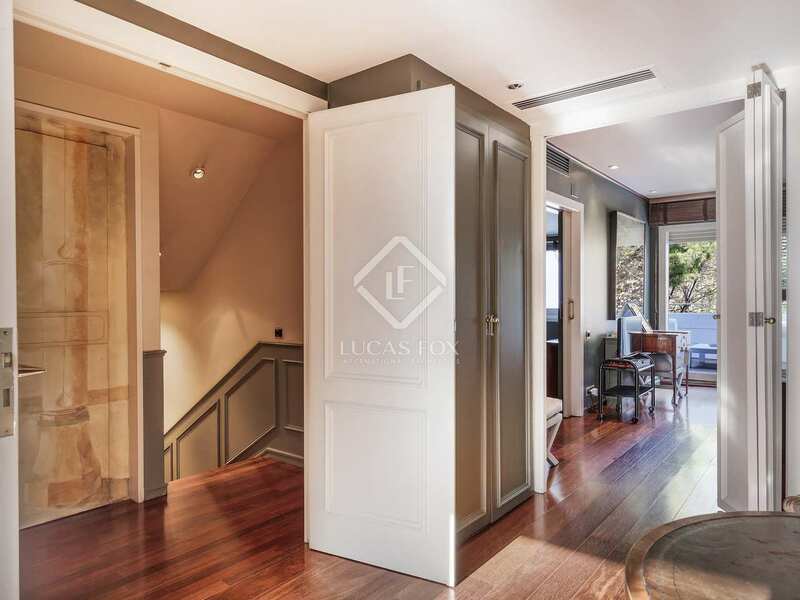 The house, with interior design by Estrella Sallieti, has 4 levels plus a basement, with a lift connecting all except the loft. 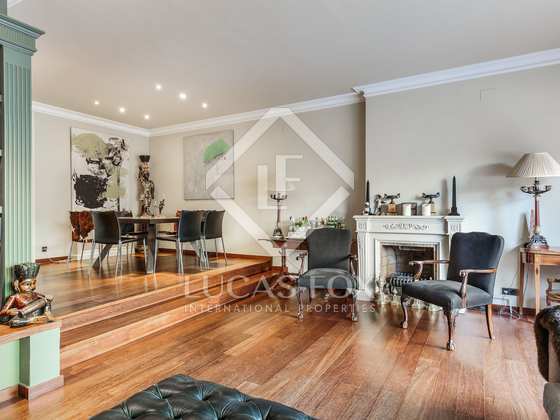 We enter on the ground floor and here we find a beautiful split level living and dining area with wooden flooring and a charming fireplace. 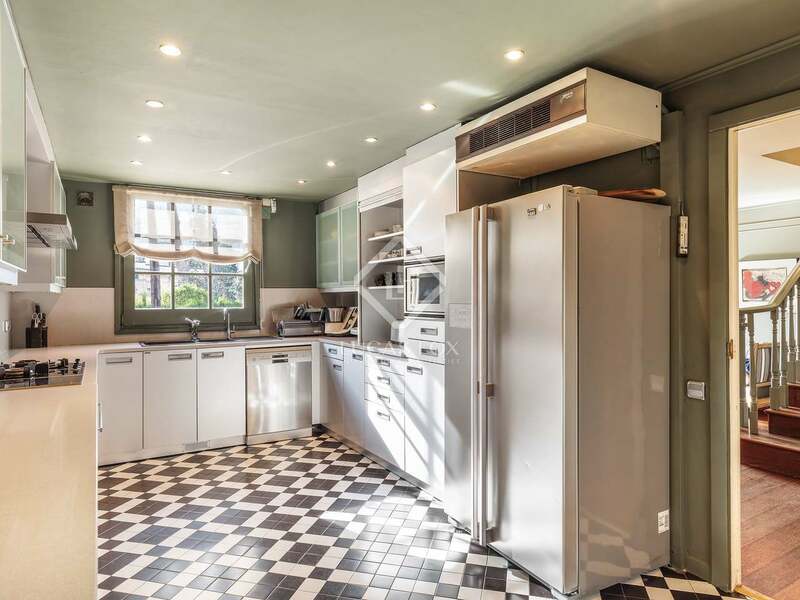 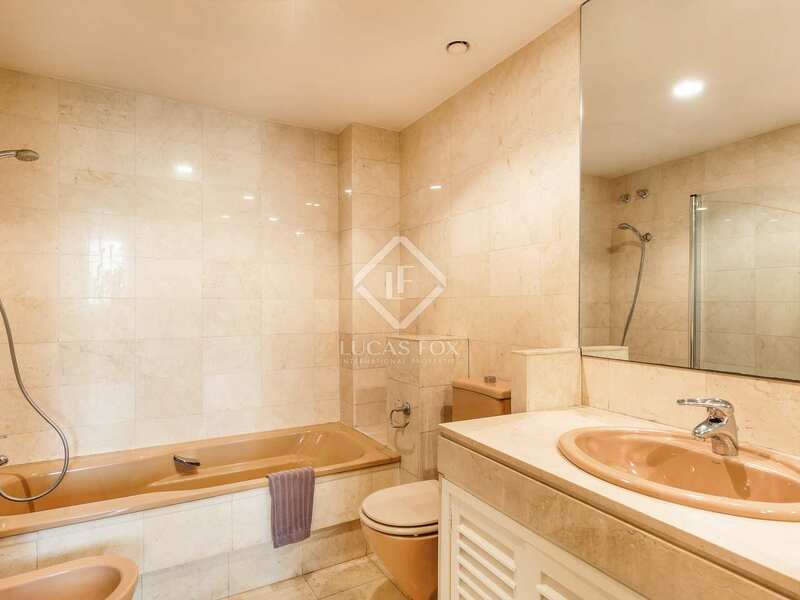 Next to this is a guest toilet and the spacious modern Allmilmo kitchen diner with a Silestone worktop and Miele gas and induction hob, a Kupperbush oven and a Siemens dishwasher. 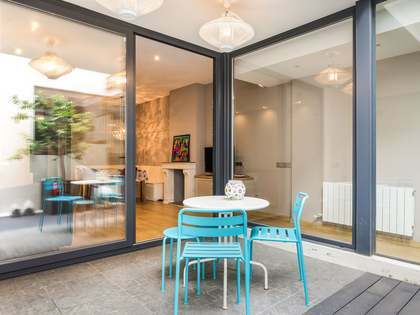 From the living area we have access to the wonderful decked patio with a dining and seating area on one level and a few steps down to the sun loungers and salt water splash pool. 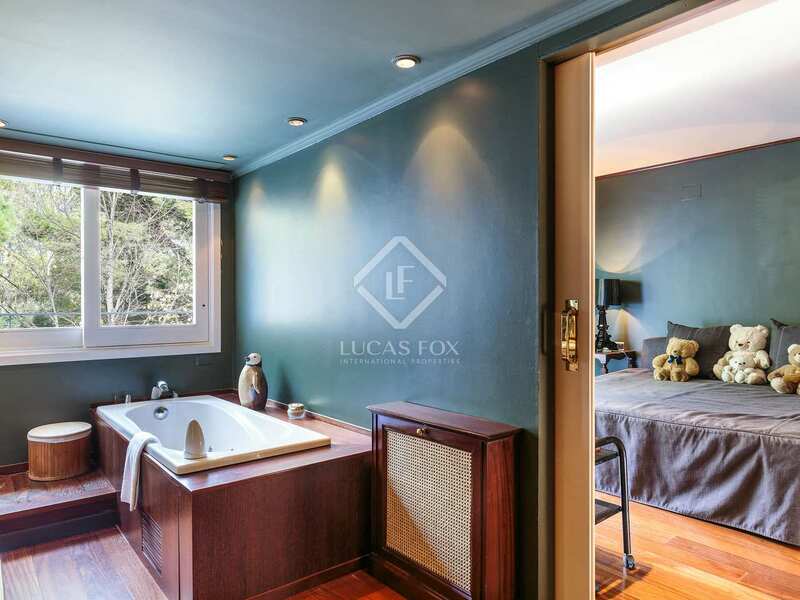 The first floor offers 3 large bedroom suites, each with a private bathroom and one with an annex study. 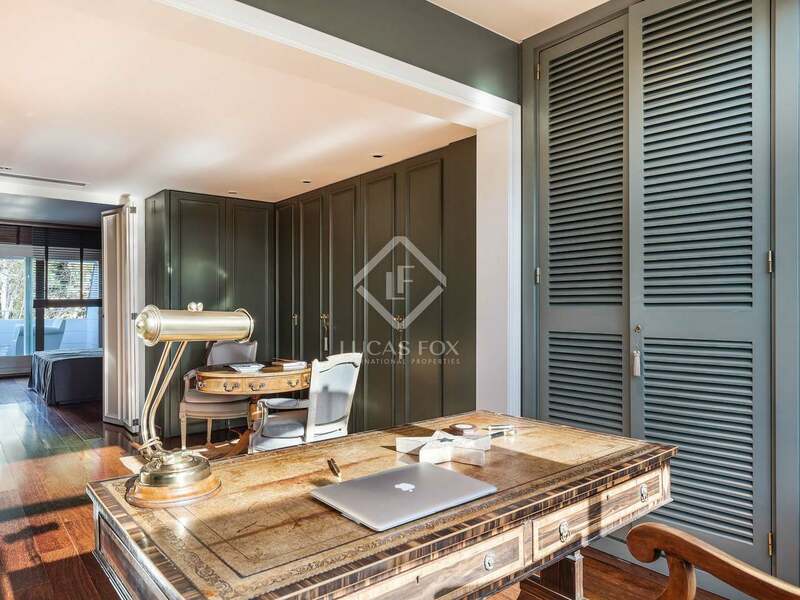 The second floor is occupied by a fabulous bedroom suite with a magnificent light-filled study, a large closet and private bathroom. 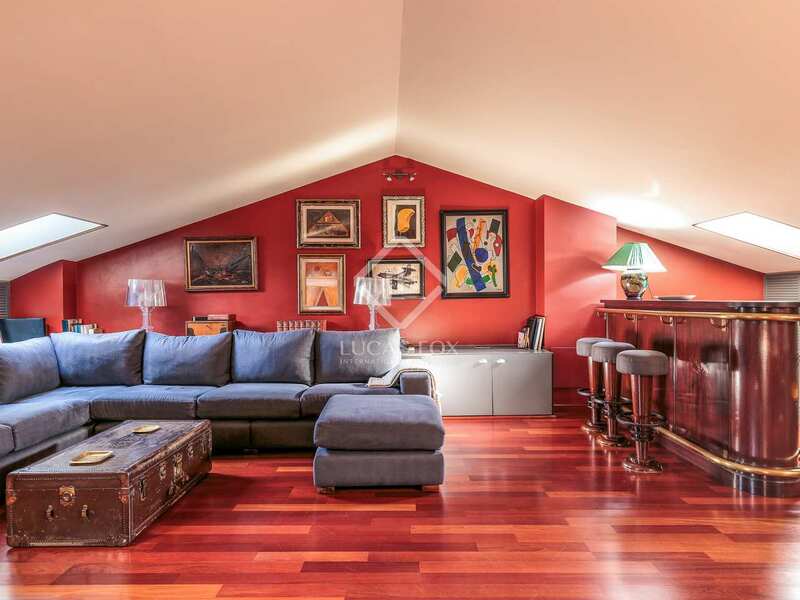 There is a large lounge in the attic and the basement offers a large room for service staff with a bathroom, then the machine room and a 3-4 car garage. 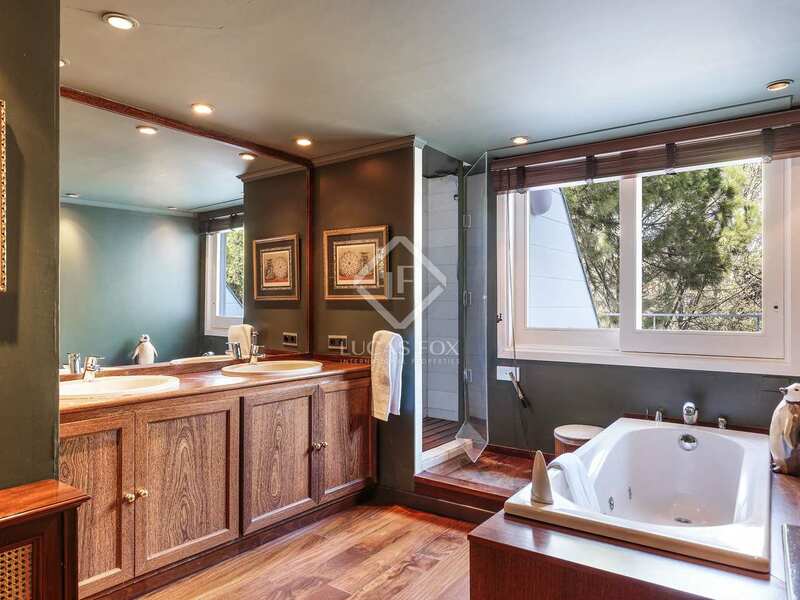 The house has an alarm system, water boiler and tank and has been completed with very high-end finishes throughout. 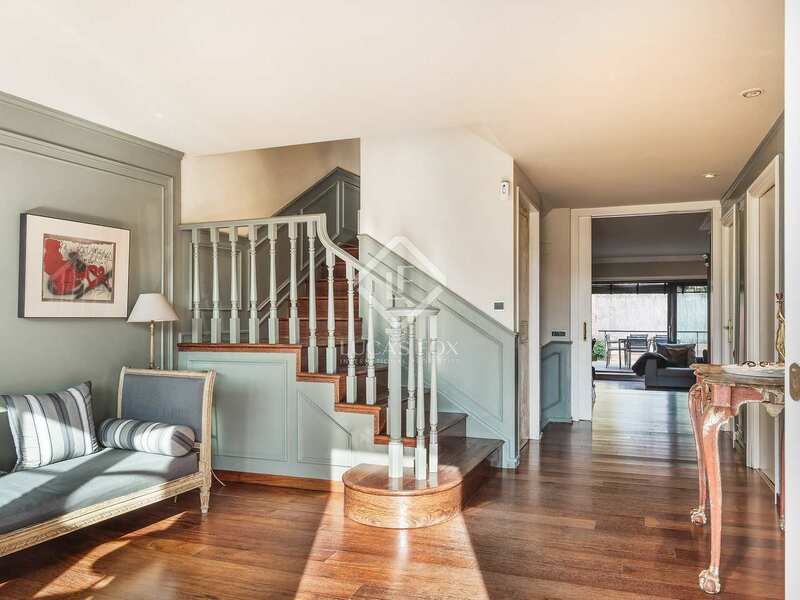 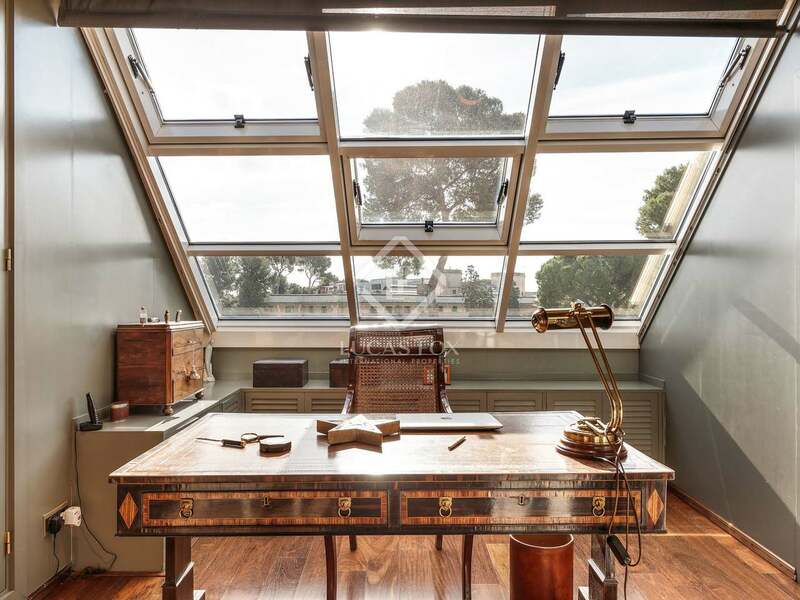 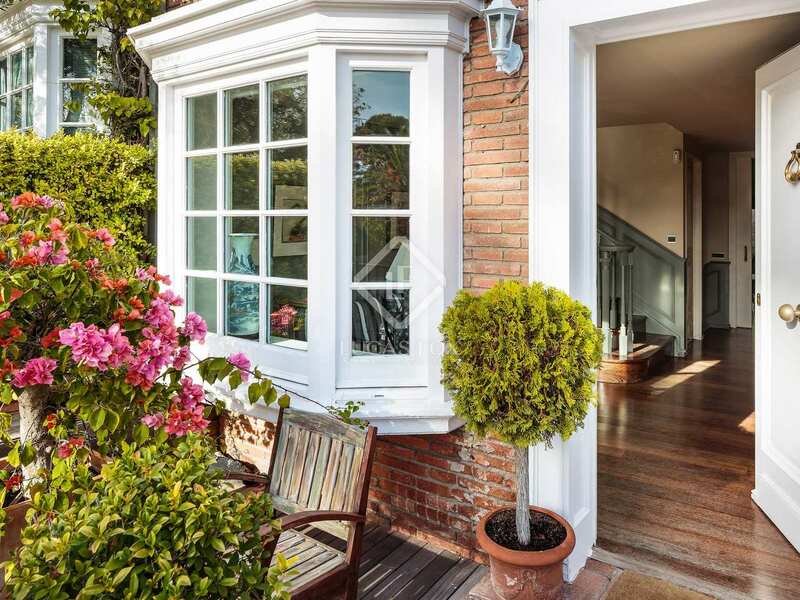 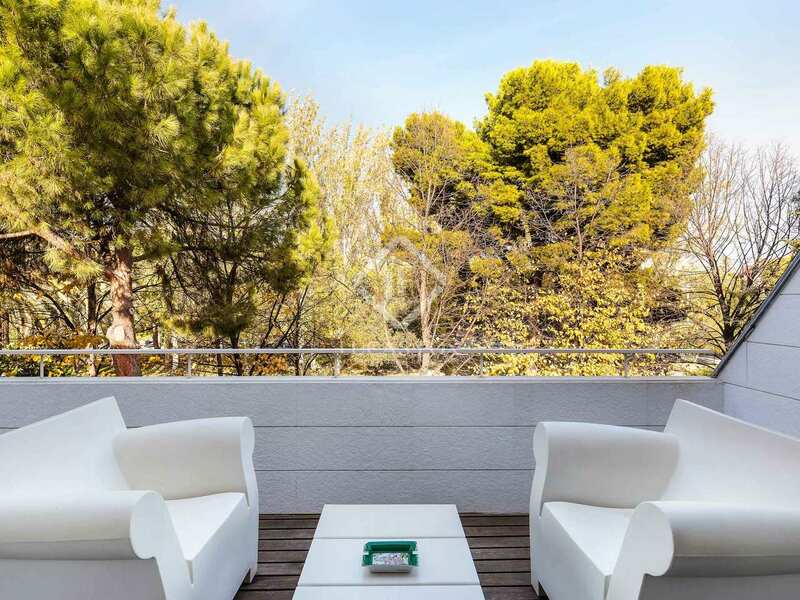 A particularly charming and elegant family home in Pedralbes. 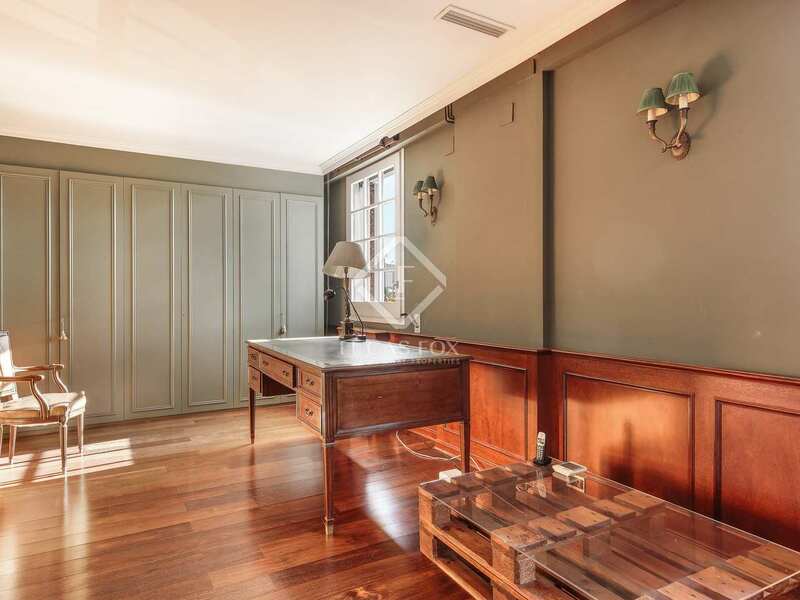 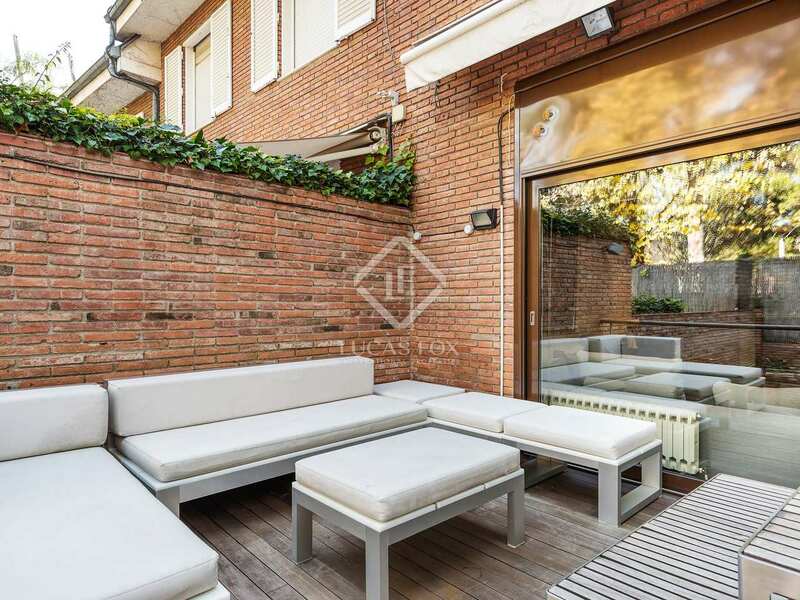 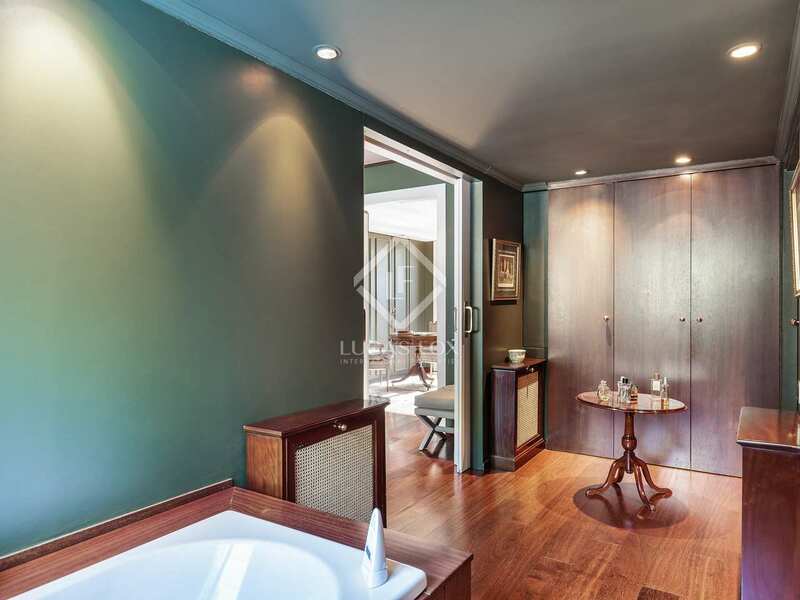 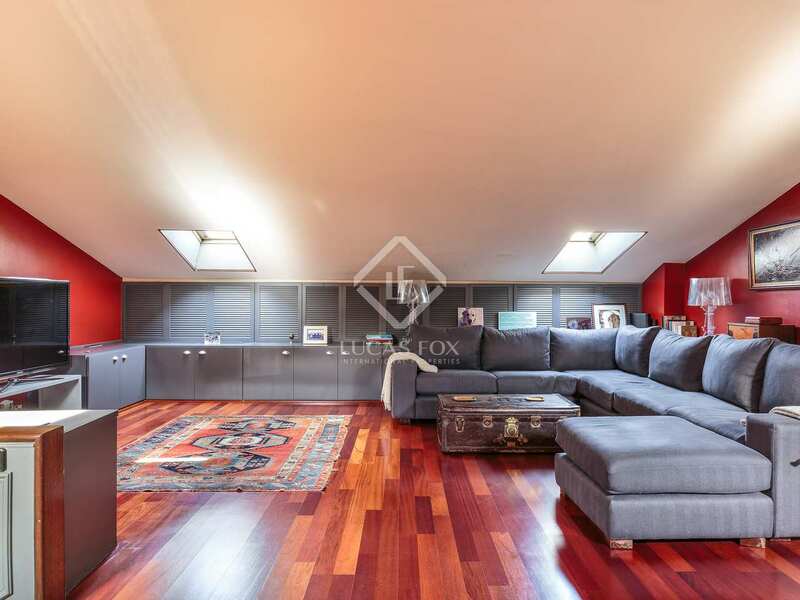 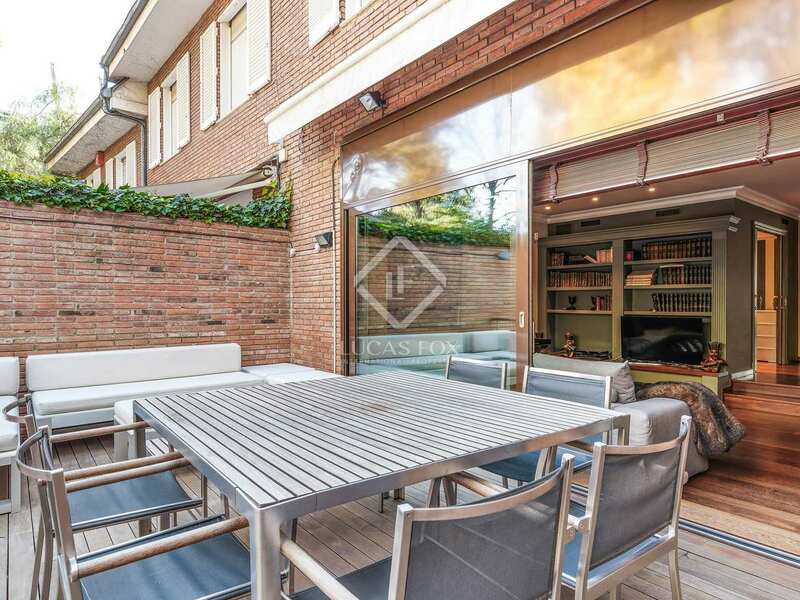 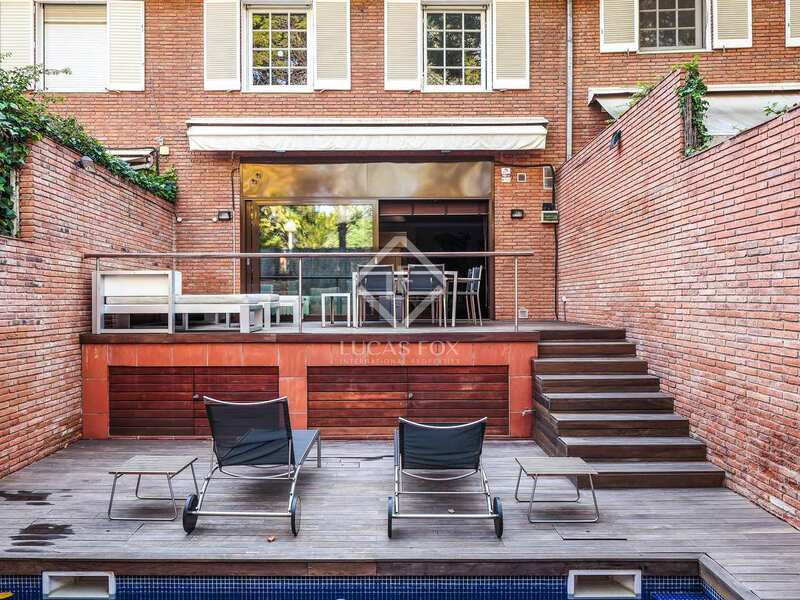 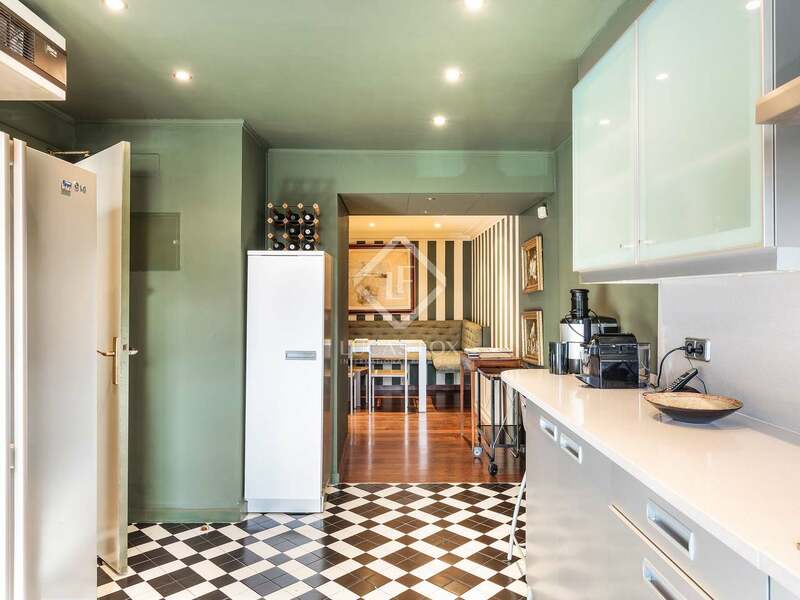 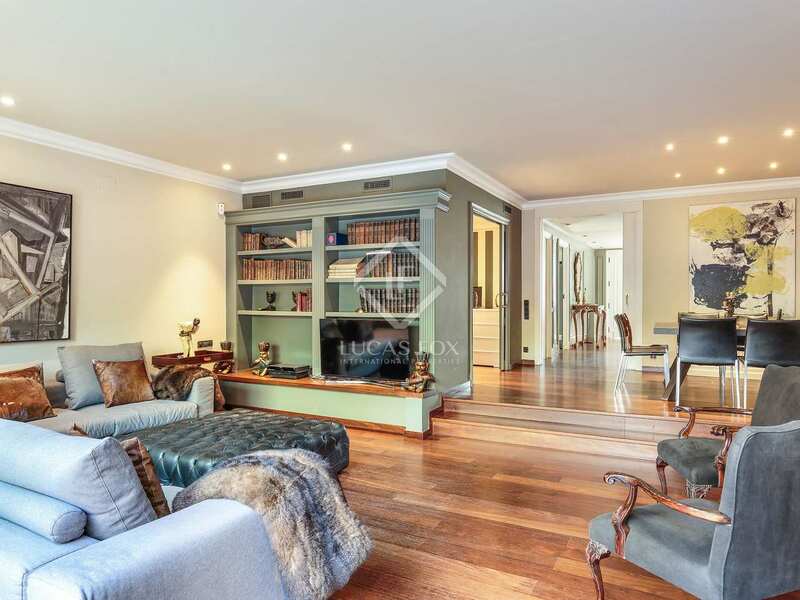 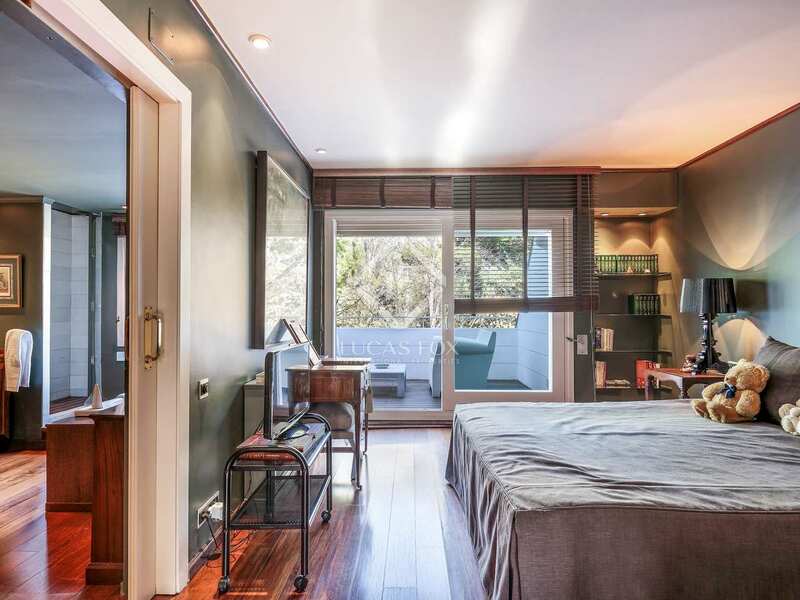 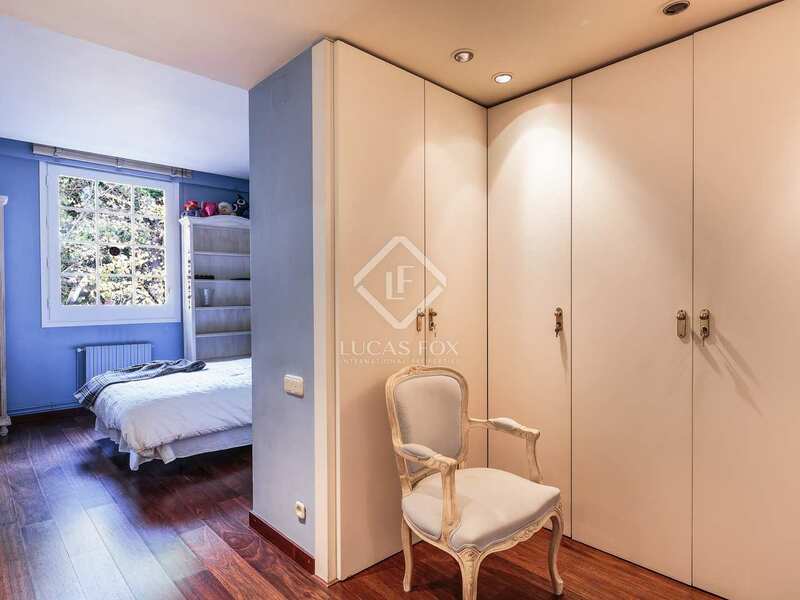 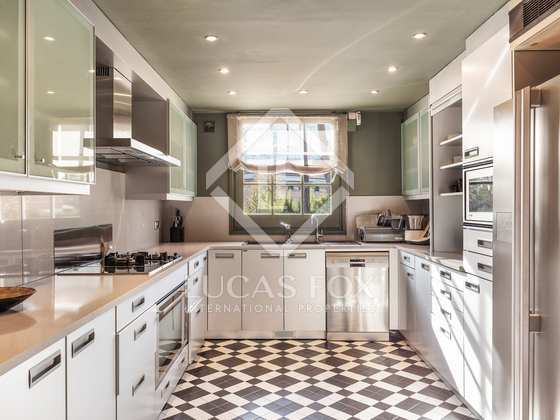 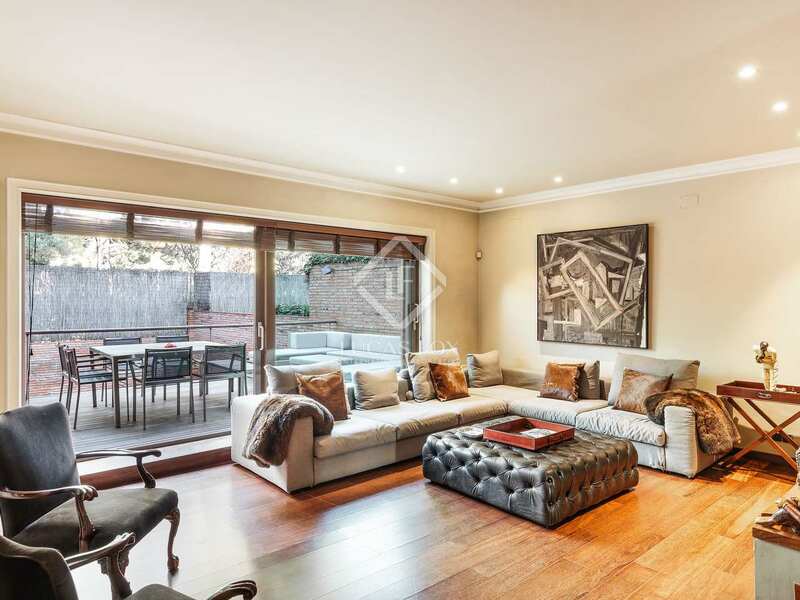 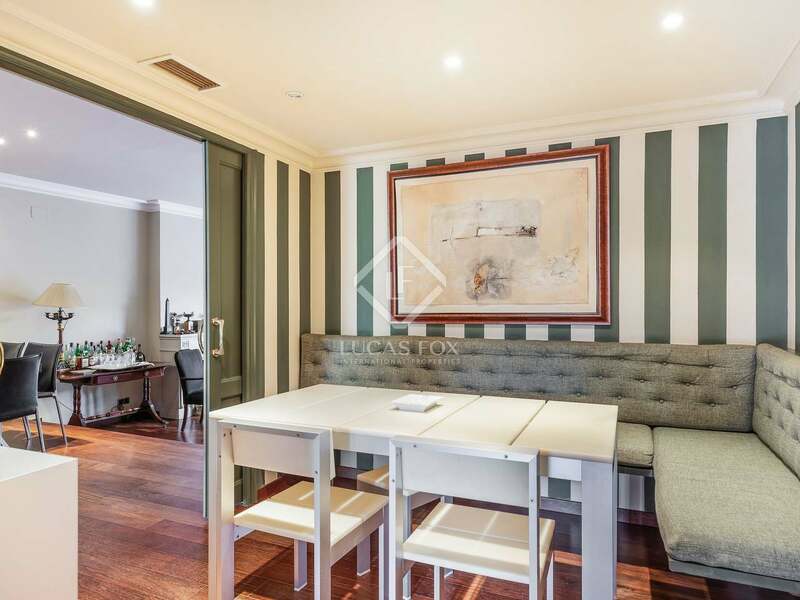 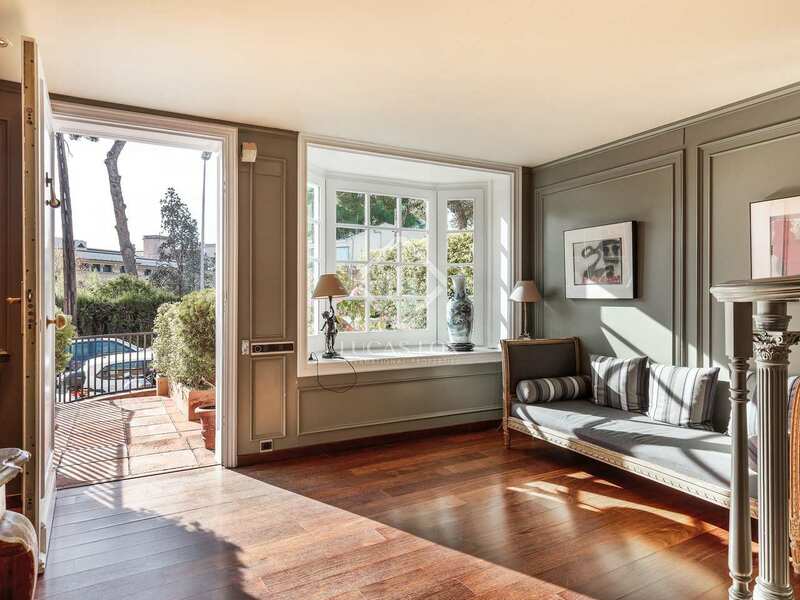 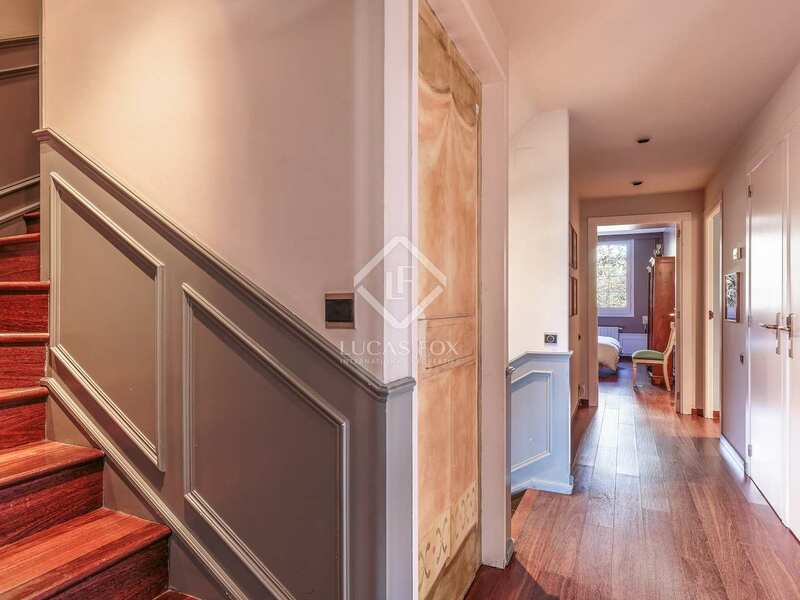 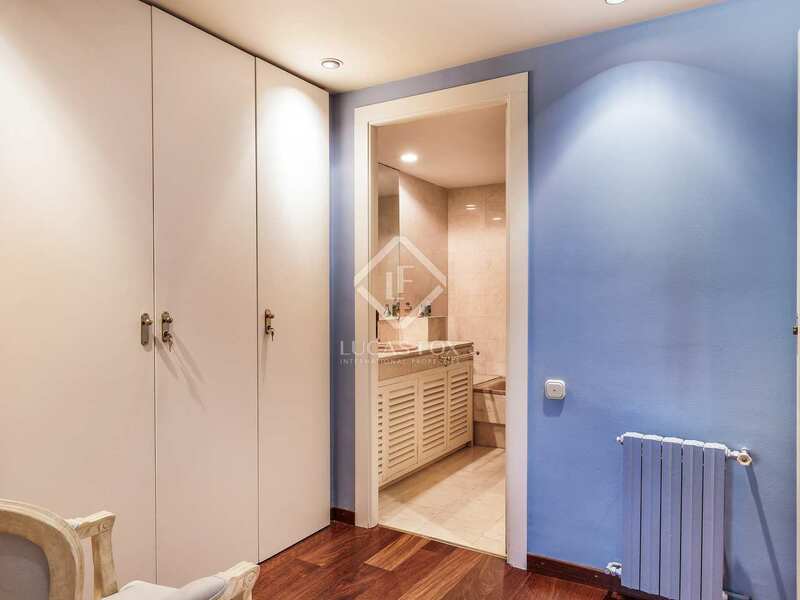 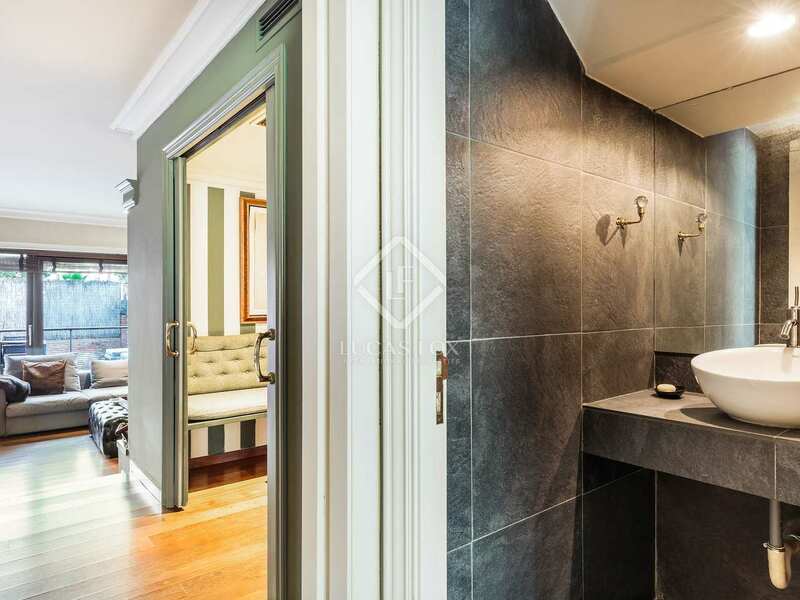 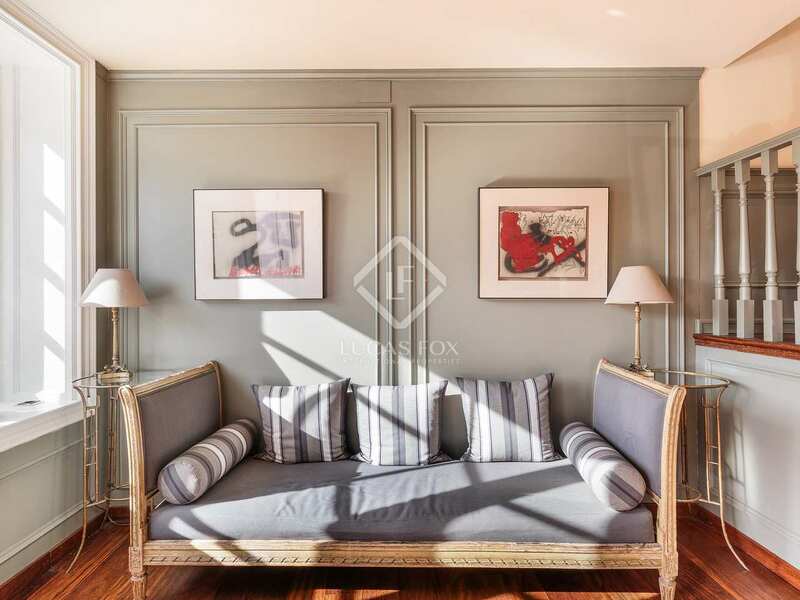 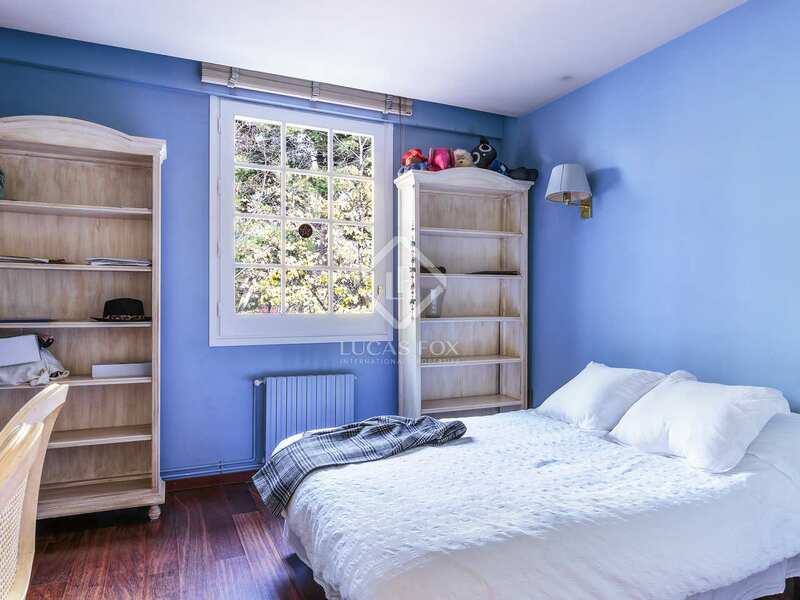 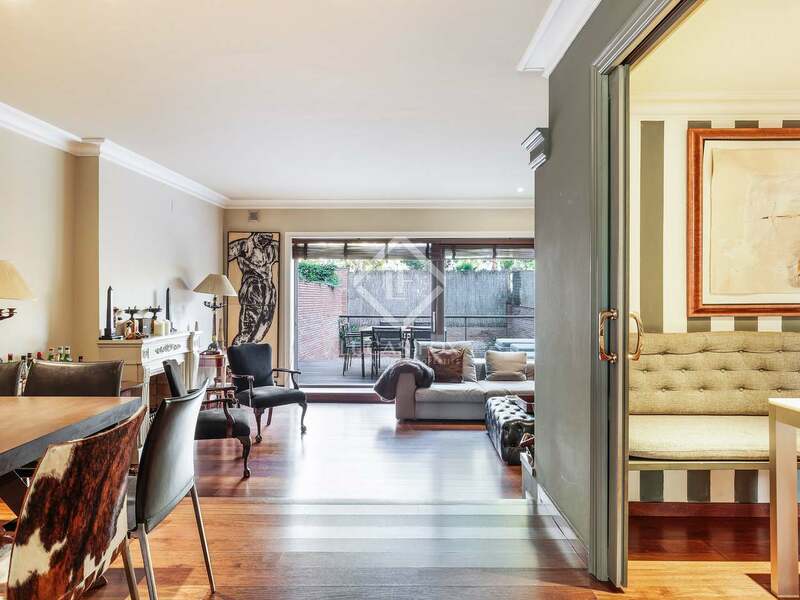 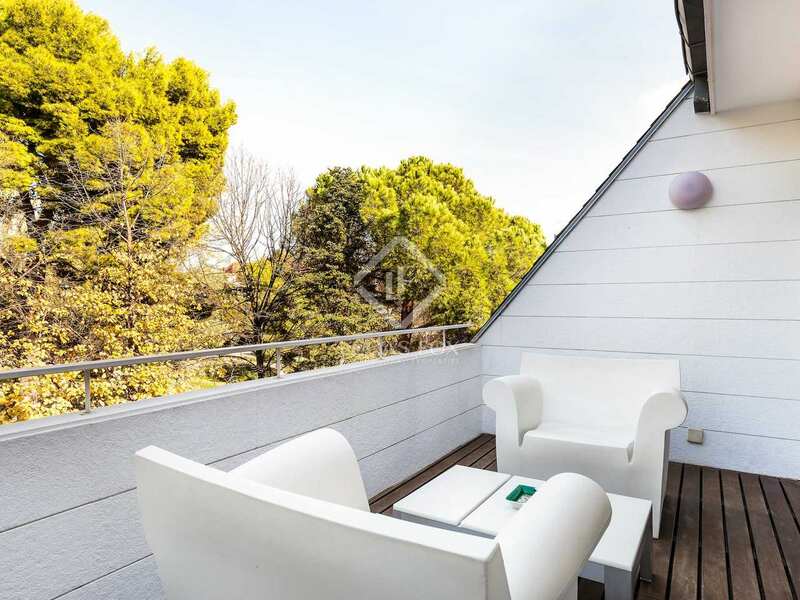 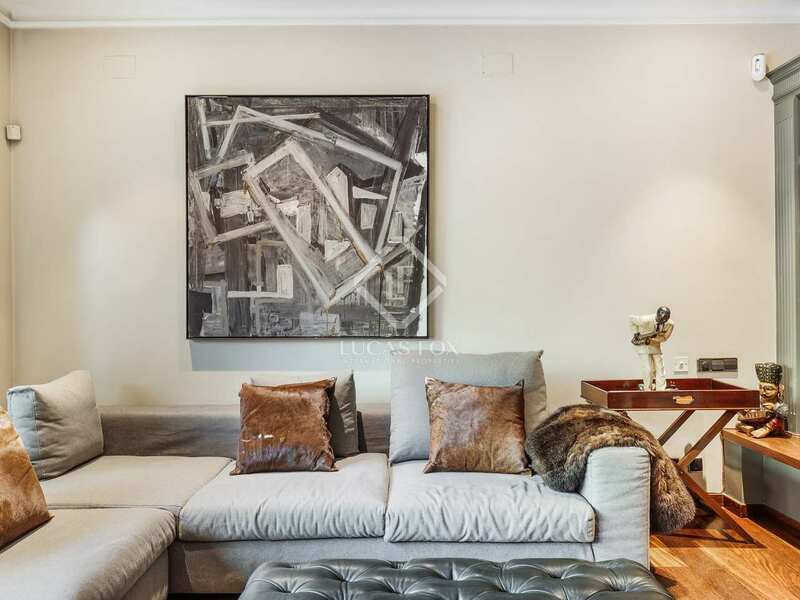 This house is located in the prestigious Pedralbes neighbourhood of Barcelona Zona Alta. 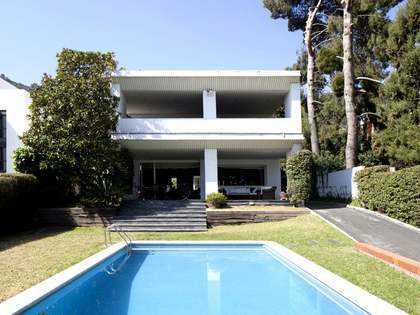 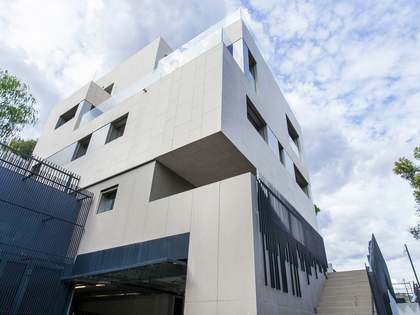 It is in the area next to Avinguda Pedralbes and the emblematic Palau de Pedralbes, close to the UPC university area.